Welcome to this year's 19th issue of DistroWatch Weekly! Ubuntu 11.04, probably the project's most controversial release to-date, was unveiled recently to a variety of opinions focusing on the user interface changes. Does the Unity desktop fulfil its promise to be a more productive working environment? Read our first look review of "Natty Narwhal" to find some answers. The Ubuntu theme then filters down to the news section where we link to a selection of views published recently in popular Linux media before we quote Mark Shuttleworth in an interview with OMG! Ubuntu! Further down in the news section Clement Lefebvre provides some interesting information about the upcoming Linux Mint 11 "Katya", Debian opens a discussion on the possibility of a stable rolling-release branch, and Barry Kauler reveals his thoughts about the next version Puppy Linux. Also in this issue we have an alluring interview with two PC-BSD user interface designers and information about the roadmap leading towards the release of openSUSE 12.1. Happy reading! April 28th brought the arrival of Ubuntu 11.04, a new release of Ubuntu which comes with the nickname "Natty Narwhal". This version includes the new Unity graphical interface, improved package management and additional Ubuntu One features. Version 11.04 is a regular release, as opposed to a long-term support release, and will be supported through to October 2012. Before downloading the latest release from Ubuntu I had a chance to put some questions to Canonical's Director of Communications, Gerry Carr, and he was kind enough to talk about the highlights of the new Ubuntu. 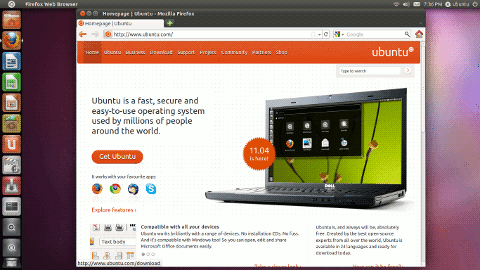 DW: What has been the focus for Ubuntu 11.04? What new technologies have been improved on or introduced? GC: 11.04 is the realisation of two to three years' work, and there have been a number of changes and enhancements made to this latest instalment of Ubuntu. Of greatest significance has been the migration over to the new Unity interface, which offers a rich and intuitive, yet greatly simplified, user experience. With Unity, users can personalise their PC by adding and accessing applications in a way that's become familiar and proven popular in the smartphone and tablet market. The same Ubuntu 11.04 interface can be used on any machine or any screen, on netbooks, notebooks or desktop PCs. We've taken a cue from smartphone functionality and have started to bridge away from the tree and branch (file and folder) concept and over to one where users can choose applications with a single click and add apps through clicking or dragging. The dash is our way of delivering apps, music and video together into a single location where they can be instantly discoverable. The search capability of 11.04 has been turned on its head, as well; we've followed the notion that search is at the centre of how people use their PC. With this new interface, users can key in a few letters or a category to find exactly what they're looking for as intuitively as possible. That really encapsulates 11.04: a system that is responsive to user intention. Through the Ubuntu One cloud service, users will be able to enjoy syncing, file sharing and music streaming for both Android and iPhone. Android users will also be able to import contacts from Facebook and fully sync with GMail. Ubuntu's Software Centre has also been significantly upgraded; the expanding software catalogue now includes a wider range and choice of free and paid for applications and games, users can review and rate software and adding new applications is easier than ever. Canonical is introducing a cloud-based free trial of 11.04, so that users can access and try out Ubuntu without having to download a thing. The trial will be available in the next few weeks at Ubuntu.com. Of course, the system offers the same secure, stable, virus-free environment, the same speed and compatibility with PCs and plug-in peripherals and devices it always has. DW: The Unity desktop is a big new feature. Why the move to Unity and will fans of the old GNOME desktop be able to switch back to GNOME? GC: Unity is the next stage in a well sign-posted path to bringing Ubuntu, and therefore free software, to as many people as we can. To do that we need to be as good as, and offer a real alternative to, the experiences that users can get on other platforms. We feel sure that most people who try it will enjoy it considerably more than the paradigm they've been used to. The new interface is certainly different, but not for the sake of being different: the changes are deliberate, designed to be intuitive and really useful for the user. There is the option to switch back to Ubuntu 'classic', should a user wish to. DW: Ubuntu often makes changes to the user interface (moving buttons, trying on bright purple wallpaper, changing scroll bars). Is there a concern Ubuntu will become too alien to people? Or do you think Ubuntu is leading the way and others will follow your path with time? GC: What Ubuntu 11.04 brings is the opportunity to challenge and disrupt that status quo. Rather than a loveless decision to replace the machine with another Windows one because that's all there is - this is a chance to make a really individual choice that has big advantages in terms of look, feel and how the system operates. We think 11.04 and the work that has been done to the interface really gives it that launch pad to start bringing on board a much more mainstream audience and we are doing all we can to make the leap as painless as possible. We will have live demos, interactive screen grabs and a simple step-by-step guide to download and install. Once exposed to Ubuntu and especially the experience that Ubuntu 11.04 brings to them, we are sure that millions more will choose to make their own choice in what they run on their PC. Right off the bat, we knew we needed to bring features on board to make a compelling reason for people to switch. Windows is such an engrained technology it's practically omnipresent and people don't even stop to think about the alternatives to it. As part of the extensive user research we've conducted - and continue to conduct - we've found that users might make the switch to an open source operating system for a host of reasons ranging from either a poorly performing machine or an extremely expensive one. It is an increasingly more common aspect of the consumer experience to feel an underlying dissatisfaction with what's gone before. DW: The free ShipIt CD program has been cancelled, but I understand Canonical still plans to get CDs out to end users in other ways. Could you talk about how Canonical will be getting discs out to the communities? GC: We are going to make large numbers of CDs available to the Ubuntu Local Communities (LoCos) through a ShipIt-lite program. We are asking the LoCos, who are much better placed than Canonical in many ways, to find creative ways to get CDs to those that need them. Also, every single person who has a CD is a potential distributor -- it is after all free to copy, modify and redistribute. We will also continue to make the packs available through the store which are sold more or less at cost price (plus shipping). Everyone is still welcome to simply go to the Canonical store and buy and redistribute CDs. All that changes is that there is no need for an official blessing from Canonical and we will no longer list the websites on ubuntu.com. We encourage them to continue to promote Ubuntu and provide this great technology in their local market. DW: Ubuntu is typically thought of as a desktop distribution, can you tell us what improvements we'll be seeing on the server side? GC: Ubuntu 11.04 offers exciting opportunities for businesses to improve the reliability, security and manageability of desktop, cloud and server deployments, challenging the traditional license or subscription fee model and embracing open source technology. This release comes at a time of accelerating corporate adoption of Ubuntu, and delivers a range of improvements specifically relevant to the corporate environment. Ubuntu Server 11.04 adds the OpenStack "Cactus" release as a technology preview, downloadable through the Ubuntu software repositories. Ubuntu features the most tightly integrated implementation of OpenStack on an operating system available today – giving companies evaluating OpenStack a great opportunity to assess the latest release. For desktop deployments, Ubuntu 11.04 offers corporate users a choice of Unity -- a new, simplified and modern interface -- or the option to retain the "classic" Ubuntu interface. 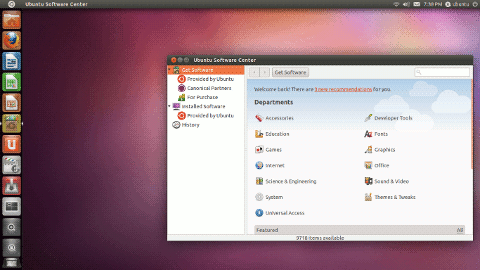 DW: Canonical has taken flak for keeping the Ubuntu One server-side code in-house. Why has the server been kept closed and when will the code be opened? GC: Ubuntu One is a commercial subscription service - and none of it is a requirement to run Ubuntu. For commercial reasons we've decided not to open source the server-side code. That decision is not under active review. DW: Thank you, Mr Carr. I grabbed the ISO image for 11.04, selecting the 32-bit Desktop edition. The ISO is just under 700 MB, filling a regular-sized CD. I decided to start my experiment on my desktop machine (2.5 GHz CPU, 2 GB of RAM, NVIDIA video card). Booting from the disc brings up a graphical splash screen which quickly gives way to a window asking us to select our preferred language and choose whether to run the installer or try the live desktop environment. I chose to install right away. The installer begins by checking system requirements and asks us if we'd like to install all available updates during the install process and, further, if we would like to install third-party software. The additional software includes items such as mp3 codecs and Flash. This first time around I asked the installer to include third-party packages. Next up we're asked if we'd like Ubuntu to take over the entire disk or do "something else". I think this is an attempt to streamline the process, giving us two choices, rather than throw several install options at us. I decided to take the vague-sounding "something else" option and was brought to the partitioning screen. The partition manager is well laid out and mixes flexibility with intuitive controls. Support is included for the ext family of file systems, ReiserFS, JFS, XFS and Btrfs. Once we've sliced up the disk and confirmed our choices the installer moves to the next screen and begins partitioning and copying files in the background. We're next asked to pick our time zone, confirm our keyboard layout and create a new user account. The user account screen gives us the option to encrypt our home folder. We're then presented with a slide show that talks about Ubuntu's features while the installer copies its files. After about fifteen minutes I noticed that the progress bar had stopped moving and clicked a button to see details of the installation. The installer had reached the point of downloading third-party software and, probably due to it being release day, my connection was quite slow. I opted to skip adding the extra software, the installer finished and I was asked to reboot the computer. Starting the machine I was shown a blank, bright purple screen for about twenty seconds, followed by a fairly standard-looking GNOME login prompt. I entered my login information, the screen went blank for a few seconds and then a pop-up appeared telling me my video card wouldn't handle the new desktop environment, but I could choose "Ubuntu Classic" from the login screen. At this point I expected to be taken back to the login prompt, but instead the OS crashed. Not just X, but the entire system went down and I had to perform a hard reboot. Returning to the login screen I found that my session options were "Ubuntu", "Ubuntu Classic" and "Ubuntu Classic with no effects". I chose the third option and was logged into a standard GNOME 2.32 desktop environment. As usual, the application menu was placed at the top of the screen and the task switcher at the bottom. No icons were placed on the desktop. My first impression of the new wallpaper was it looks like someone is shining a bright light through grape jelly. Personally, I think this is slightly more attractive than last year's rust on plain purple look, but it's still not something I find easy on the eyes. Also on the topic of look & feel, Ubuntu places window buttons to the left of windows, rather than the right. I don't think the choice really matters one way or the other, except I have around twenty years of habit working against me. Fortunately such minor things can be quickly changed through GNOME's Appearance tool. I brought up the Appearance options, clicked my preferred theme and the app crashed. Returning to the Appearance app and selecting the theme and background I wanted worked the second time around. If I may backtrack for a moment, I was a bit surprised that the NVIDIA video card I occasionally use for gaming wasn't up to running the Unity desktop. Checking on the forums turned up several other people reporting similar issues with the Unity & NVIDIA combination and it's apparently a driver issue. I suspect switching to the closed source NVIDIA driver would give me full functionality, but I decided to skip that option and instead waited to try Unity on my laptop machine. Some other early impressions I had were that the documentation Ubuntu comes with is quite good. The supplied pages are well written and organized in such a way I think novice users will be able to navigate them easily. I noticed early on that there were software updates available in the repositories, and update notifications were turned on, however no notification appeared on my desktop letting me know new packages were ready for download. Manually launching the software updater allowed me to see and install available updates. Early in the 11.04 development cycle Mark Shuttleworth wrote on his blog, "A wit said of Google Wave that 'if your project depends on reinventing scrollbars, you are doing something wrong.' But occasionally, just occasionally, one gets to do exactly that." Now, obviously, this is going to be a personal choice issue, but I think trying to reinvent the scrollbar in Ubuntu was a poor choice. I think I see what they were trying to do, the new scrollbars take up less room at the side of the window, which is good, in theory. However, in my experience, the new design fell on its face in a few ways. For example, I found that moving my mouse over the new, thin scrollbar would cause a control to pop-up, allowing me to manipulate the slider. Well, sometimes the pop-up would appear and sometimes I'd fine myself waving my mouse back and forth over the thin scrollbar without result, or the pop-up control would appear and, when I moved my mouse over it, the control would disappear again. This made what used to be a simple click-n-drag into a longer, frustrating process. Assuming the control behaved, I found that I could drag it around easily enough, but clicking the up/down buttons caused the scrollbar to jump up/down an entire page, rather than the smooth scrolling I've grown used to. My third issue is that not all applications use the new scrollbars. The GNOME applications do, but many others (including the default ones which come with Ubuntu) do not. Firefox and LibreOffice, for example, use the regular style of scrollbars. This means that users do not have consistent UI widgets and I found that it breaks flow. On a positive note, I found the fonts included with 11.04 to be pleasant and easy on the eyes. Since I've mentioned a few applications, let's take a look at what is available in the menu. 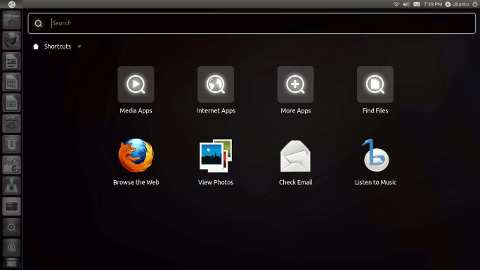 Ubuntu comes with Firefox 4.0, LibreOffice 3.3.2, the Evolution e-mail client and the Shotwell photo manager. Also in the menu are the Empathy IM client, Gwibber for social networking, the Transmission BitTorrent client and a terminal server client. We further find the Banshee media player, a disc burner, the PiTiVi video editor and a sound recorder. There are a few small games, Tomeboy Notes and the usual text editor, calculator and archive manager combo. GNOME comes with plenty of apps for adjusting the look and feel of the desktop and there are also programs for creating user accounts, setting up printers and finding files. In the background we find the 2.6.38 release of the Linux kernel. For handling software, Ubuntu includes the traditional Synaptic package manager and Ubuntu's Software Centre. Synaptic, of course, is quite powerful and flexible, but doesn't have the most newbie-friendly interface. The Software Centre has been touched up a bit. I found that it was more responsive this time around than it was last year. The Software Centre breaks packages into three groups: free software from Ubuntu's repositories, free (as in cost) software from third-parties and commercial software from third-parties. Items are further divided into categories, helping us to quickly find multimedia apps, games, office software and so on. Each software item includes ratings and reviews, letting us know what other people thought of the package. In the past I'd considered the Software Centre a good idea that needed some polish and speed improvements and I think the program has now reached maturity. It's easy to find software and either add or remove it and we can queue multiple actions at whim, where other package managers usually force us to wait until one set of tasks is completed before embarking on another. Finally, the Software Centre includes a history log, showing us what items have been added or removed recently. Regarding hardware, aside from not being able to run Unity, I found that all of the devices on my desktop machine worked well. My screen was set to the appropriate resolution, sound worked out of the box and performance was quite good. Last year I complained of the Ubuntu One service chewing up CPU cycles whether the client was in use or not and that appears to have been corrected. I found the system to be fast and responsive during my desktop trial. Moving over to my laptop computer (dual-core 2 GHz CPU, 3 GB of RAM, Intel video card) I found that the install process was the same, but there were a few important differences in the end result. The first was that when booting from the hard disk I was no longer shown a blank purple loading screen, instead I saw the expected Ubuntu banner with progress lights under it. And, upon logging in, I found my Intel video card to be compatible with Unity, letting me try out the new interface. In fact, all of my laptop's hardware was handled properly, giving me a good screen resolution, sound working out of the box and my Intel wireless card was picked up without any work on my part. Performance was good and the system was responsive. One glitch I did run into early on came from using the laptop and booting from the live CD. Running off the disc brings up a window asking if we'd like to try Ubuntu or install it. Any time I selected "Try" the system would show me a busy mouse cursor and hang. A little experimenting revealed that clicking the window's close button would force the Try/Install program to close and the Unity desktop to load. If the window wasn't manually closed then the machine would remain stuck on that screen. Regarding Unity, there's been a lot of talk about the new environment and people seem strongly divided on the issue. Personally, I can't say I love it, but nor do I hate it. There are definitely things I don't like about it, but some features, I think, will be helpful to people, especially newcomers. It's quite a different approach to the desktop and there is certainly a period of adjustment moving from classic GNOME (or KDE for that matter) to Unity. In the upper-left corner of the screen there's a launch button which brings up a screen that's basically a greatly enlarged application menu with a prominent search function. 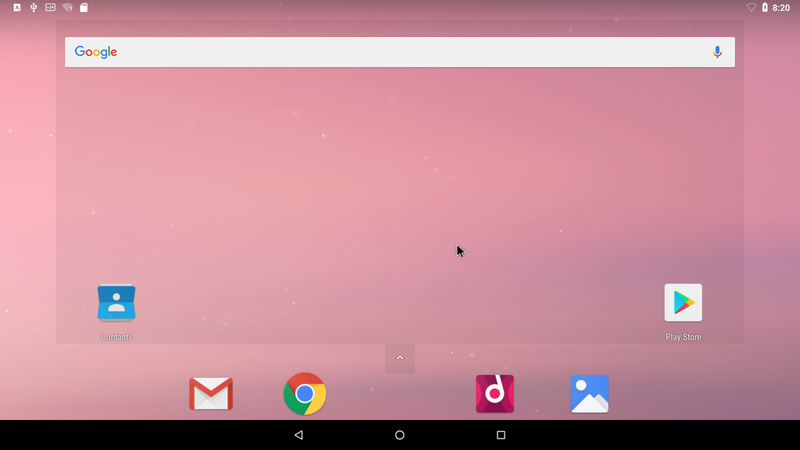 To the left side of the screen is a quick-launch bar running the full height of the desktop. This bar contains commonly used applications and clicking one of the large icons loads its app. Clicking the same launch button again focuses the app, if it was behind something. So the side bar doubles as a launcher and task switcher. Across the top of the screen is a blank bar that, when the mouse is moved over it, will display the menu bar for the application currently in focus. Applications don't take their menu bar with them, it's always at the top of the screen, much the same way OS X behaves. Personally this is probably my least favourite feature of Unity as it means people with larger screens (or multiple screens) need to focus an application window and then move the mouse to the top of the screen to access the menu where, before, if the program's menu was visible, it could simply be clicked. I found that this put quite the speed bump in some tasks. Unity features virtual desktops (four, by default) and clicking on the pager icon shows a zoomed-out preview of each virtual desktop and we can double-click on the workspace we want to use. I found that using the right-hand workspaces caused the quick-launch bar to disappear unless the mouse was positioned to the left of the screen. I've been looking for a way to move the quick-launch bar or force it to remain visible and haven't found a solution yet. When the bar fills up with open/available applications we can scroll through the icons by simply moving the mouse to the top or bottom of the launch bar. Using the new application menu and getting used to searching for items instead of browsing a menu tree has taken some getting used to for me, but I have to admit it's fairly well implemented. I've been able to find programs both by name and, usually, by description so far and I think it's something new users will pick up easily, especially if they're familiar with smart phones. Over-all I think Unity has made a good beginning, but there are some things I don't like about it, mostly in regards to customization. Or, more specifically, the lack of customizing options. I also find it weird the universal menu bar at the top of the screen is always available, but the text on the menu bar is invisible until the mouse moves over it. Since the bar itself doesn't hide, I can't understand why the designers chose to make the text invisible until my mouse is already hovering over it. I think the developers have gone with good defaults for netbook machines, but the layout doesn't translate well to large screens or multiple-screen systems. And, of course, the video card requirements seem a bit much. There's really nothing here which should demand 3D acceleration, it's still very much a 2D environment with a few simple effects that have been available to low-end cards for years. In conclusion, I'd have to sum up my experiences with Ubuntu 11.04 as being generally good, but largely inconsistent. As an example, all my hardware was detected and worked properly, but when the OS couldn't find a suitable graphics card on my desktop machine, it crashed. Attempting to work from the live CD on my laptop caused the machine to hang until I forced the installer window to close. The classic GNOME interface is well put together, but scrollbars now vary in form and accessibility from app to app. The Software Centre is probably the best it's been, intuitive and helpful, but it seemed to request my password almost randomly. Usually I'd be asked for my account password with every new package installation, but sometimes the prompt would be skipped and I never did find a conclusive pattern. The update notification didn't work on either of my test machines. Unity is, for smaller devices, probably a good UI, but I really feel it needs to be more flexible if it's going to catch on with full-sized notebook and desktop users. The default applications which come with 11.04 are well thought out and, of course, Ubuntu offers over 33,000 packages in the repositories, making it easy to find what we need. I'm of the opinion there are good features in this release, but 11.04 definitely suffered from being rushed out the door while it was still beta quality. Ubuntu aims to be novice-friendly, but this release is buggy and I think they missed the mark this time around. I'm limiting my recommendation of 11.04 to people who want to play with an early release of Unity. Ubuntu's latest release continues to evoke long discussions on many popular websites and user forums. Is the new Unity desktop really such an unpleasant and unnecessary change? For some it's a "yes", at least according to Alastair Otter who claims that "Ubuntu Unity is not all that unifying": "Unity feels unfinished - it feels like an afterthought in this release and not very nicely integrated. Perhaps it would feel better if the various elements of the interface adopted the same colours as the rest of my desktop." PC Pro's Barry Collins shares the sentiment in "Ubuntu Unity: the great divider": "Even some of the most die-hard Ubuntu advocates amongst the PC Pro readership have expressed their disgust at the interface, which was first introduced in the now defunct Netbook Edition last year." However, there are others, like PCWorld's Katherine Noyes, who argue that Unity could be a great user interface for those users who have grown up on Microsoft Widows: "I'm still in the process of messing around with Unity and deciding if it's something I want to keep. 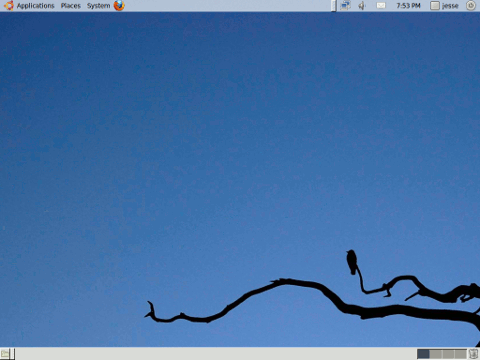 The more time I spend with it, though, the more I think Natty Narwhal may indeed be the first Linux release truly designed for newcomers to the operating system." Of course, there are bound to be radical opinions every time such a dramatic change takes place. But what does Mark Shuttleworth, the Ubuntu founder, thinks about Unity? Here is an extract from an interview by OMG! Ubuntu!, published last week: "Q: Are you satisfied with Unity in the recent Ubuntu version? Shuttleworth: Yes, though I recognise there are issues, and I would not be satisfied unless we fixed many of them in 11.10. In the end, when we reviewed bug lists, stability and experience, Unity was the best option for the average user upgrading or installing. There are LOTS of people for whom it isn't the best, but we had to choose a default position. I think we walked that line admirably. I appreciated the open discussion that was had, and it made me more confident in the final position; that decision is best taken by the desktop team, and they were arguing in favour of Unity, and they had my support for that." Nevertheless, even with the positive tone, the Ubuntu leader accepts that there are things that will need to be addressed in the next release: "There's lot to learn, that can only be learned in reasonable time by getting code into a wide deployment. Some decisions I regret and we'll evaluate alternatives, some we'll tweak." The Linux ecosystem is now so broad that even a die-hard Ubuntu fan can easily jump ship if necessary. 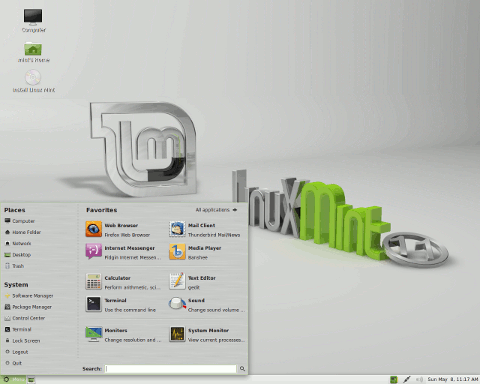 One distribution that could benefit from the present discontent with respect to frequent major changes in Ubuntu is Linux Mint, which has always maintained a more conservative attitude towards upstream changes, even reverting some of them if the users prefer it. Clement Lefebvre talks about the upcoming release of "Katya" whose first release candidate is hitting download mirrors as I write this: "Linux Mint 11 comes with GNOME 2.32, the traditional Linux Mint desktop layout, mintMenu and the same desktop elements featured in previous releases. Compiz is installed by default and so is fusion-icon, which lets you switch easily between Compiz and Metacity. Software selection: LibreOffice replaces OpenOffice.org as the default office suite; Banshee replaces Rhythmbox as the default music player; gThumb replaces F-Spot as the default photo application; Gwibber is no longer installed by default. Changes: the update manager is faster than before and comes with numerous bug fixes and multiple UI improvements; the desktop settings tool is now desktop-agnostic and serves both generic settings and desktop settings specific to GNOME, KDE, Xfce, etc." 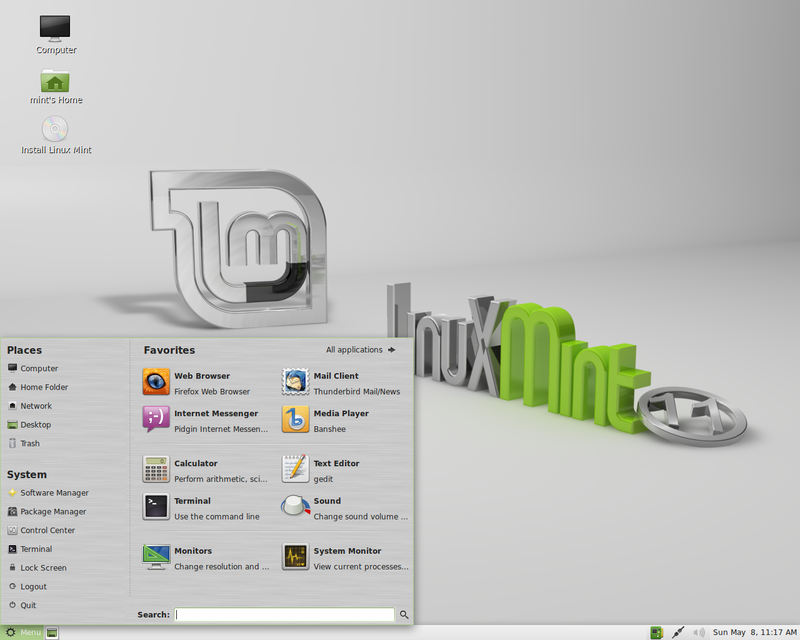 The final release of Linux Mint 11 is expected "by the end of May". 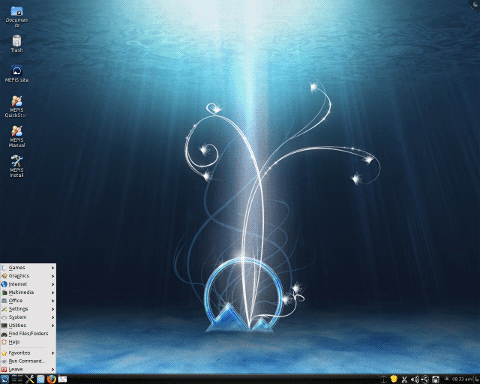 For even more conservative Linux users there is always Debian, with its infrequent stable releases and a well-tested set of rock-solid applications. Furthermore, Debian's "testing", "unstable" and "experimental" branches exist for the more adventurous among the distro's user base. But what about a well-tested and stable, but rolling-release Debian? Discussion about such possibility appeared recently on the debian-devel mailing list and here is a tentative summary by Lucas Nussbaum: "There's some user demand for rolling releases. For evidence, one can look at the usage of Debian testing or unstable which clearly goes further than the Debian development community. Or at the quickly growing market share of Arch Linux. Or at the interest in Linux Mint and aptosid. Or at the DPL's report of his interactions with the press." As always in Debian, there are many opinions, possibilities, pros and cons. But as the author concludes, the rolling-release concept for Debian's "testing" branch does have a certain positive vibe: "I have the impression that advertising testing as a rolling release usable by end users is generally considered a good thing. The renaming of testing to rolling is not as consensual, but most opponents have a 'whatever; if you want' position." Finally, a quick update on the development of Puppy Linux, whose upcoming version 5.3 could see a switch from Ubuntu packages. Barry Kauler reports on his blog: "A forum member sent me a message expressing concern that the proposed next official flagship Puppy, version 5.3, might not be based on Ubuntu packages. See discussion on 5.3 here. The choice of which distro's packages are used is not really up to me. It is really a question of who will 'run with the ball'. Playdayz had the determination and stamina to bring 'Lucid' Puppy to release status and to coordinate a series of upgrades. Now he wants a rest and that is well-earned. It was Playdayz who choose Ubuntu packages, and the choice for the next Puppy (5.3) is also up to whoever is going to manage it. For those who want to see a 'Natty' Puppy, well, it is up to you to do it. There is room for more than one mainstream official Puppy. Currently we have two 'official' puppies, Lucid and Wary, the latter built from packages compiled in T2. There is no reason why we couldn't have Wary, Upup and Spup going into the future, as long as each is targeting different audiences." Open source projects are often started and run by coders. The new feature lists that accompany releases usually talk about technical changes and advancements. This may seem natural until we consider that many of our first impressions of a project are not based upon its technical capabilities. Rather, most of our early observations of a product, whether we're consciously aware of it or not, will revolve around things like colours, layout and font. What does the distribution's website look like, is it easy to navigate, how big is the project's ISO, is the boot menu intuitive, is the loading screen text or graphical, how long does it take to boot, is it easy to find options on the login screen, is the wallpaper attractive, how hard is it to find what I want on the application menu? Most of the preceding questions deal with design and aesthetics rather than technical concerns. Technical enthusiasts tend to downplay the role colours and placement have in our lives, preferring to focus on behind-the-scenes capabilities, but it's hard to deny white text on a fuzzy background, white text on a clear background and tiny black text on a white background will invoke different feelings. With this in mind, it might seem odd that many of us can name half a dozen or more developers involved in major open source projects, but most of us probably can't come up with a name to associate with our desktop background, icons or menu layout. We often see raging debates on the best colour theme for a distro, whether window buttons should be on the left, the right or not even exist, and what font is ideal for avoiding eye strain, but we rarely think about the people who put those touches into our operating systems. In an effort to shine a spotlight on the designers who make using computers a more pleasant experience I got in touch with Jenny Rosenberg and James Nixon, who work for iXsystems (a major sponsor of several BSD projects, including PD-BSD and FreeNAS), and asked them to tell us about the work they do. DW: Let's start with a little background about yourselves. Where did you come from and how did you come to work with iXsystems? JR: My name is Jenny Rosenberg and I am a graphic artist operating from my New Jersey design studio. I began working with iXsystems in 2008 after a friend referred me to Denise Ebery - Marketing Director of iXsystems. I have since had the pleasure of working directly with Denise, James Nixon - Webmaster and Usability Expert, and Matt Olander -- Chief Technology Officer, to develop a variety of branding solutions with iXsystems. It was such a great experience working with James on the custom PC-BSD desktop wallpaper set to blend with his GUI styling and I am so proud to have been part of the operating system design process. JN: I come from the wonderful state of California where I've spent most of my life on the drums or the Internet. While browsing the web, a friend of mine instant messaged me asking if I could help out a friend with a corporate website. At the time, I was designing fan sites for local bands and blogs for friends -- so I thought this would be a great way to branch out and gladly took the project. Shortly after, I relocated from sunny Southern California to the beautiful Bay Area to take on a full-time position at the iXsystems headquarters. DW: How do new designs get included in the operating system? Does the artist or usability expert come up with new designs and push/present them to the team, or does a manager come to you and say "we need a new look"? Could you walk us through the life of a new design from conception to its inclusion in the OS? JN: New designs usually coincide with a release of PC-BSD and are often inspired by the release name. Design ideas come in from all directions and include input from Kris Moore, Matt Olander, Denise Ebery, Jenny Rosenberg, myself, and many others. Often I will e-mail Jenny and Denise with a design goal, ASCII art, or a quick mock-up created with the GIMP. Jenny responds with a few rounds of comps after the initial design requests. Each round of comps includes change requests made after the initial request. Once the team reaches a decision, the design gets packed up and committed to the project. JR: I have had the honor of working directly with open source community leaders, Dru Lavigne - Director of Community Development for PC-BSD and Kris Moore - Director of PC-BSD Software Development. I recently worked with Dru to develop the cover art for The PC-BSD Users Handbook -- a collaborative effort that is created at the PC-BSD wiki. Kris had a great idea for the new AppCafe application icon in PC-BSD 9.0 and invited me to work with him on the illustration. I've also collaborated in two upcoming projects, the newly redesigned PC-BSD website and enhanced PC-BSD logo and logomark. Open Source leaders and iXsystems managers cohesively work together to promote creative ideas for development and explain the selected ideas to me. I will revise and finalize designs until the best solution is chosen, based on team feedback. DW: Open source operating systems are made up of a lot of components. Does the PC-BSD/iXsystems team work with other projects (such as KDE) to create a certain look or to improve consistency? JN: I do not actively work with other projects to create the overall "Look and Feel". Although, the critiques, suggestions, and feedback from iXsystems employees, the community, and my own personal experiences aid in improving the consistency and usability of the PC-BSD operating system. Utopia for me would be actively working with the UI developers from KDE, LXDE, and GNOME to create a unified look and feel across all desktop environments. DW: A lot of smaller open source projects suffer from a lack of good artwork and UI design. Do you think there is a shortage of good designers and artists in the open source community, or are developers not reaching out to embrace people who have UI designing skills? JN: Good artwork comes from talented artists and clean designs come from a well-trained eye and several years of experience. Some projects lack "good" artwork simply because they do not care, while others lack the resources to contract the "good" artists. Most projects have volunteers at varying skill-levels contributing artwork and design ideas. The long-term volunteers usually have "the vision", while the short-term volunteers see an opportunity to gain experience and notoriety. Projects benefit from both types of volunteers, but long-term volunteers are more likely to understand, meet, and exceed the expectations of the community. Perhaps some developers do not see a need for a polished, professionally designed project -- I , however, do. JR: I believe that there is amazing talent available and ready for open source projects. Artists and designers are an integral part of the development of a project. Designers polish and complete the look and feel after an extensive amount of work has gone into its creation. An amazing open source project could turn off users or be overshadowed by an unattractive interface. DW: How do you receive feedback from the user community? Do either of you lurk on the forums, receive e-mail form users, do you go to BSD conferences, invite people into your office to look at mock-ups? JN: I tend to shy away from the forum and IRC, these communication venues can become time-consuming. I attend several BSD conferences every year and often take notes on the most common complaints as well as praise. Most mock-ups are shown to several people in (and out) of the office via e-mail. A couple of occasions I have had the privilege to volunteer at the FreeBSD booth while next to KDE. They usually have things to say about how KDE looks on FreeBSD. JR: I receive feedback a few different ways, from open source community leaders and the iXsystems team, to reviews and comments on open source community forums. I was very honored to hear the positive feedback from Skullfire, a PC-BSD forum community member, about the wallpaper set and James' GUI design theme and styling. It thrilled me to hear that someone appreciated a design project we worked so hard on, I loved to hear it! I've also gotten to mingle with attendees during MeetBSD 2010, which was such a great experience. I believe that community feedback is very important and I appreciate it. DW: PC-BSD may be the only open-source project I've seen that changes the wallpaper every few minutes by default (editor's note: Kororaa does this too). Was this done to make the environment appear more dynamic, was it a way to show off more artwork? Will this feature be present in future releases? JN: The ever-changing wallpaper was intended to showcase new artwork while also demonstrating what can be done with the desktop. For some, this is a cool feature they may use for their own artwork or personal photo collection. Others may see this as annoying 'bloat', excessive, or just plain silly. Personally I enjoy exposing extra features by default to bring awareness that a feature exists -- potentially attracting more users to customize their desktop, or at the very least, to help brand PC-BSD one wallpaper at a time. DW: How are conflicting opinions resolved during the design process? For example, if half of your feedback says the user base wants one look/layout and the other half wants to go in a different direction, what happens? Does the team vote, or does one person make the decision? JR: I am always happy to provide continued edits and variations. The team will vote on revised designs to meet a compromise that everyone agrees on. DW: Up to this point PC-BSD has had one desktop environment, KDE, but version 9 will include support for GNOME, Xfce and LXDE. Does this present new challenges for the designers and artists? JN: It sure does, but the goal remains the same. 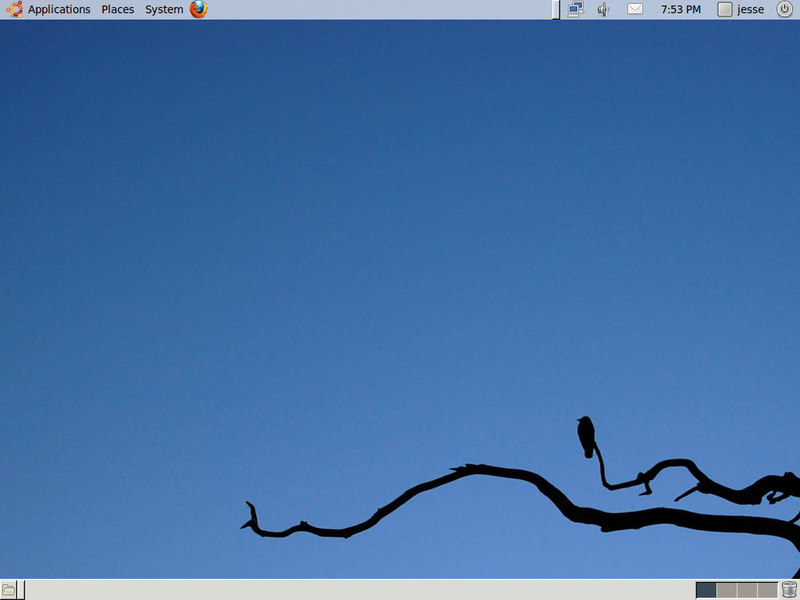 In previous versions of PC-BSD, one may notice the effort that went in to getting Fluxbox to look like KDE. Now that we're completely breaking away from the KDE paradigm, a lot of the same effort will need to go in to the other desktop environments. At the very least, this should include a unified icon set, window decoration, and color scheme for all supported window managers. In the past, we've had severe issues with file downloads within apps like Firefox or Thunderbird associating with the correct applications. A band-aid used in the front-office of iX was to simply call kfmclient from a shell script and KDE would handle the rest. Now that we are breaking away it has become clear this issue will present itself again -- and for any user not using KDE. Without the proper 'mimetypes.rdf' file populated with file type associations, neither Firefox nor Thunderbird will function properly with downloaded files on PC-BSD. This will be one of our biggest challenges when facing usability issues. DW: Different colours and patterns can invoke subtle responses in people (red is often associated with anger, blue with tranquillity, green is said to stimulate learning), what sort of response do you want people to have to your designs? JR: I want people to feel the energy in the composition. The entire piece should flow and be balanced (breaking the grid* included), have a visual hierarchy and use harmonious colors and adequate contrast. I love to embellish and enhance colors by blending them until they come to life. I love shine and radiance! Some designers are more mellow and minimalistic with their approach which can be very clean and polished looking while I tend to create vibrant, active, and lively pieces. I want people to stop and take a second look and get lovingly lost in the details. DW: There are many types of interfaces to design for now, from smart phones to netbooks to desktop machines with multiple screens. Do you think it's better to try to find a one-size-fits all design or should designers be looking at making specific designs for each type of device? JN: A healthy combination of both, of course. For web interfaces, I tend to design for netbooks, being the least common denominator. A design that looks great on 1024x600 pixel monitor, however, may not always look so great when maximized at 1920x1080 pixel resolution so I tend to bounce back and forth until the design is presentable in most resolutions. I see a need to design separate (and perhaps native) interfaces for the iPad/iPhone/Android because users of these devices often have high expectations. One-size-rarely-fits-all. JR: Good design will work on a range of interfaces all the way to printed products. Keep in mind, there will most likely be tweaks and small changes to accommodate direct uses, but each particular use should reference elements of a continued theme. DW: Is there anything else you'd like to share with our readers? JN: Recently I have been designing the FreeNAS Open Source Storage user interface for the latest release of FreeNAS version 8.0. This has been one of the most exciting, inspiring, and influential projects I have worked on. Exciting because we prevented FreeNAS from becoming "Yet Another Linux Project". Inspiring because we had the opportunity to introduce a re-designed interface and freshly architected platform to an already mature project. I had a great experience working on many aspects of the FreeNAS interface, from the database schema to the shiny icons to the AJAX empowered interface -- this project was truly amazing to be a part of. Many of the same people involved with PC-BSD had a hand in the new release of FreeNAS including but not limited to Jenny Rosenberg, Josh Paetzel, Warner Losh, Xin Li, John Hixson, Matt Olander, and a handful of developers around the world. Working with this team for the last few years has been awe-inspiring to say the least. My thanks goes out to everyone involved and the FreeNAS Community for their dedication and helpful bug reports. I look forward to the next design. Thank you. JR: Thank you for interviewing me and taking the time to read, it was an honor and a pleasure! Thanks to Jenny and James for taking the time to talk about what it is they do behind the scenes to set the scene. * In a follow-up e-mail I asked Jenny if she would explain "breaking the grid" as I wasn't familiar with the term. She responded: "When designers work on any project, be it a website or a magazine article, they begin by building a grid to clearly balance the hierarchy of information between typography, graphics, and white space. Designing on a grid promotes your eye to flow easily between areas of organized information. Once designing on a grid is mastered, a graphic artist can experiment with unique and innovative layout solutions by breaking away from the grid layout." Josh Paetzel has announced the release of FreeNAS 8.0, a FreeBSD-based system providing free Network-Attached Storage (NAS) services: "I'm pleased to announce the availability of FreeNAS 8.0-RELEASE. FreeNAS 8.0-RELEASE supports NFS, CIFS, AFP, FTP and TFTP as file sharing mechanisms. It also supports exporting devices via iSCSI as an iSCSI target. Active Directory or LDAP for user authentication. The ZFS and UFS2 file systems are supported. ZFS is the primary file system and enables usage of many features, including quotas, snapshots, compression and replication that are not available in UFS2. This release is based on FreeBSD 8.2, but this version of FreeNAS is called 8.0 as there are future plans to add functionality that will get the versions catch up." Read the rest of the release announcement for further details and errata. antiX M11, a lightweight offshoot of MEPIS Linux designed to run on computers with as little as 64 MB of RAM, has been released: "Just over a year since the release of antiX M8.5, the antiX team is pleased to announce that antiX MEPIS 11 'Jayaben Desai' - a fast, light, very flexible and complete desktop and live CD based on Debian 'Testing' and SimplyMEPIS - is now available in full, base and core versions (for i686 and i486 kernel). This release defaults to a fully customised IceWM Rox desktop (Fluxbox, wmii and dwm are also installed) using a SimplyMEPIS 2.6.36 kernel, our own assistants to help configuration, and the usual range of applications for desktop use. Latest Iceape (2.0.13) for Internet needs, AbiWord (2.8.6) and Gnumeric (1.10.14) for office use, GMMP and Goggles music manager (0.12.1) for audio, gxine, MPlayer and GNOME MPlayer for video...." Continue reading the release announcement for further information. Natanael Copa has announced the release of Alpine Linux 2.2.0, a community developed operating system designed for x86 routers, firewalls, VPNs, VoIP boxes and servers: "The Alpine Linux project is pleased to announce immediate availability of version 2.2 of its Alpine Linux operating system. This release introduces several new features: a new Linux kernel branch based on 2.6.38 with all of the Alpine patches either re-based or included in upstream Linux sources; new support for the x86_64 architecture; SHA512 password hashing security; preliminary support for grsecurity Role Based Access Control; enhanced disk partitioning and installation tool (setup-disk); improved package management tools (apk); support for read-only boot file systems; added GNOME desktop environment...." Read the full release notes for additional information and package changes. Andrew Gillis has announced the release of VortexBox 1.9, a Fedora-based distribution with the ability to turn an unused computer into an easy-to-use music server: "We are pleased to announce the release of VortexBox 1.9. This release adds updated versions of many of the packages that make VortexBox work so well. This version includes a new kernel for better hardware support. The DVD ripping package has also been improved and, of course, we added the latest version of SqueezeBox Server (7.5.4). The DAAP server has been updated to support Apple TV and you can now stream music directly from your VortexBox to your Apple TV including cover art. VortexBox can even stream your FLAC collection to Apple TV even though Apple TV doesn't support FLAC." Here is the brief release announcement. Sabily 11.04, an Ubuntu-based distribution with a collection of Islamic software and an integrated web content filtering tool, has been released: "The Sabily team is proud to announce the release of the new version of Sabily 11.04, code name 'Al-Badr'. What's new: new 'Al-Badr' pictures and wallpapers, new Plymouth and GDM themes; Unity and Unity 2D available, but Ubuntu classic (GNOME 2) set by default; new Firefox persona. New applications: Islamic Date - a Firefox extension that displays Hijri date; Zakat Calculator provides Zakat calculations; gufw - an easy-to-use Ubuntu firewall; DesktopNova (replacing WallpaperTray); autoKey - to avoid typing frequently encountered words; recordMyDesktop - records desktop sessions to a video file (Ogg Theora Vorbis file); Anki - an extensible flash card learning program...." Read the rest of the release announcement for more details. SimplyMEPIS 11.0, a new version of the user-friendly, Debian-based distribution featuring the KDE desktop, has been released: "Warren Woodford is pleased to announce the release of SimplyMEPIS 11, the latest version of the renowned SimplyMEPIS Linux operating system that is designed to be easy to install, easy to use, and easy to make your own. SimplyMEPIS 11.0.00 is released for i386 and amd64 platforms. It's configured with a 2.6.36.4 kernel, the KDE 4.5.1 desktop, and many applications, including LibreOffice 3.3.2, Firefox 4.0.1, VLC 1.1.3, Amarok 2.4.0, Kdenlive 0.7.9, Digikam 1.9.0, GIMP 2.6.10, and Inkscape 0.48.1. Additional applications are available for easy installation from the MEPIS and Debian package pools including Dropbox, Skype, Scribus, Eclipse, Evolution, WINE and thousands more." Read the full press release for further information. Patrick Verner has announced the release of Parted Magic 6.1, a specialist live CD providing a large collection of utilities for hard disk management and data rescue tasks: "Parted Magic 6.1. This version of Parted Magic includes a new X.Org build and some bug fixes. The Nouveau X.Org driver for NVIDIA chips is used by default now. The black screen problem with the Intel Mobile 4 Series Integrated Graphics Controllers has been fixed. A mess of other minor issues were addressed. Updated programs: alsa-lib 1.0.24.1, ddrescue 1.14, file 5.05, Midnight Commander 4.7.5.2, tar 1.26, X.Org Server 1.9.5 (all compatible drivers and libraries too), Linux kernel 2.6.38.4, Mozilla Firefox 4.0.1." Visit the project's home page to read the release announcement. Jean-Philippe Guillemin has announced the release of Zenwalk Linux 7.0 "Live" edition, a complete and installable Zenwalk live CD: "We are happy to announce the highly awaited Zenwalk Live 7.0, which will allow more people to try out Zenwalk without having to install it first. 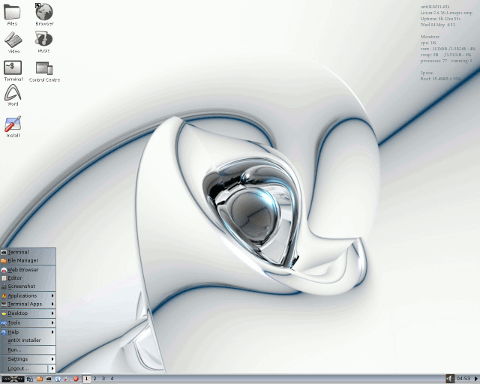 Zenwalk Live 7.0 is based on the sophisticated Slackware-Live scripts. Zenwalk Live consists of standard Zenwalk ISO packages following the main Zenwalk release, with the latest Xfce desktop and applications, and is shipped with a new artwork theme, additional localization packages for Icecat and Icedove, and the NVIDIA proprietary driver. It also comes with full support for inputting and displaying Japanese. You'll get the latest stable software including the most recent patches and bug fixes." Continue reading the rest of the release announcement for more information. The openSUSE project has published a preliminary roadmap towards the distribution next stable release, version 12.1. The development will officially launch later this week when the first milestone release will be presented to early testers; this will be followed by five more milestones and two release candidates. The "gold" release is scheduled for 10 November 2011. For more information please see the project's roadmap page. SlimPup. SlimPup is a puplet of Puppy Linux. It's designed to be very slim, clean, minimalistic, and easy on the eyes. SlimPup uses the Openbox window manager, Rox file manager, and has many favourite applications like Google Chrome, GIMP, Gnome Media Player, Audacity, Geany, and more. 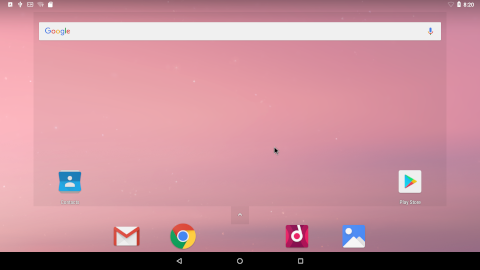 Ubuntu GNOME Remix. Ubuntu GNOME Remix is an Ubuntu-based distribution which includes the upstream GNOME desktop, rather than Ubuntu's Unity user interface. This concludes this week's issue of DistroWatch Weekly. The next instalment will be published on Monday, 16 May 2011.